Charles Keene was born in Hornsey in 1823. After trying law and architecture he was apprenticed as a wood engraver. This led to employment on the Illustrated London News. 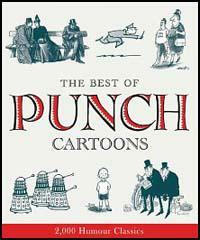 Keene was friendly with Henry Silver, one of the writers at Punch magazine. In 1851 some of Keene's drawings accompanied articles by Silver. The following year he was employed as a staff artist. 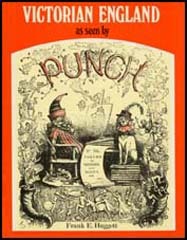 After the death of John Leech in 1864, Keene's work increased on Punch. He now tended to draw the pictures of street life that had previously been the domain of Leech. He also had a large number of drawings published in the journal, Once a Week. Keene described himself as a "hot Tory" and was hostile to those members of staff who supported the Liberal Party. In one letter he wrote about the "set of sorry Rads that lead poor old Punch astray at present." Keene was mainly the illustrator of other people's ideas so his political opinions did not always show. This is especially true when the Liberal supporting Tom Taylor became editor (1874-80). Keene was criticised for being hostile to women. As his friend, M. H. Spielmann pointed out: "In one direction alone did he fail, or choose to fail - in the portrayal of facial beauty, elegance and respectability." According to Spielmann, the only time Keene "did include a pretty woman was to accentuate the ugliness of all his other women" in the picture. Keene took a particular interest in the life of working-class people. The artist Frederick Leighton argued that "among the documents for the study in future days of middle-class and of humble life, none will be more weighty than the vivid sketches of the great humourist." Charles Keene died in 1891.